Henrik Ibsen’s Peer Gynt is not your typical theater play. With a little bit of creative freedom, most theater and ballet adaptations of Peer Gynt put their own spin on the classic Norwegian fairytale. The set artists and designers have the immense task of creating the real and surreal landscapes of Peer Gynt. Each adaptation comes with its own quirks. Eugene Ballet Artistic Director Toni Pimble’s vision for her production was no different, and is why she contacted her friend and visual artist Satoko Motouji to make her fantasy a reality. 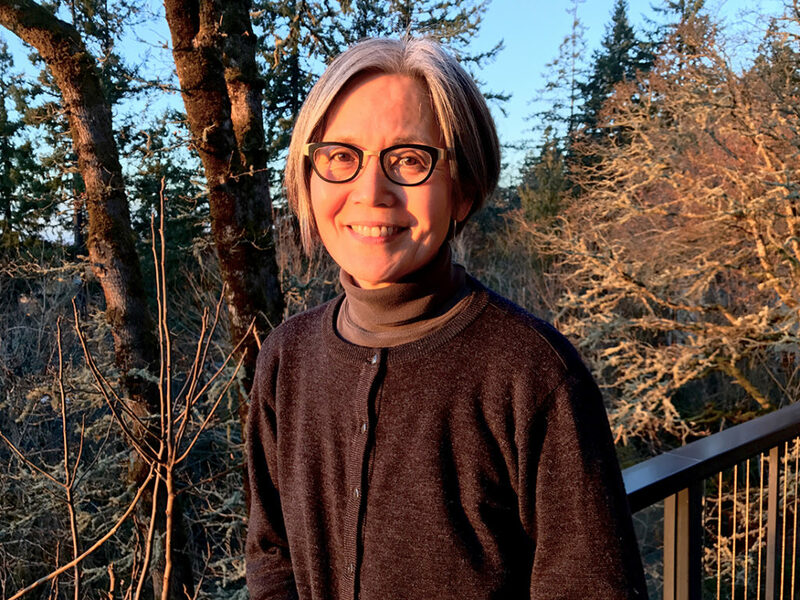 At the time of Pimble’s call, Satoko was immersed in a three-month residency at the Sitka Center for Art and Ecology, located in tiny Otis, Oregon. Here, the Salmon River estuary feeds into the Pacific Ocean, creating a rich and diverse environment for wildlife. 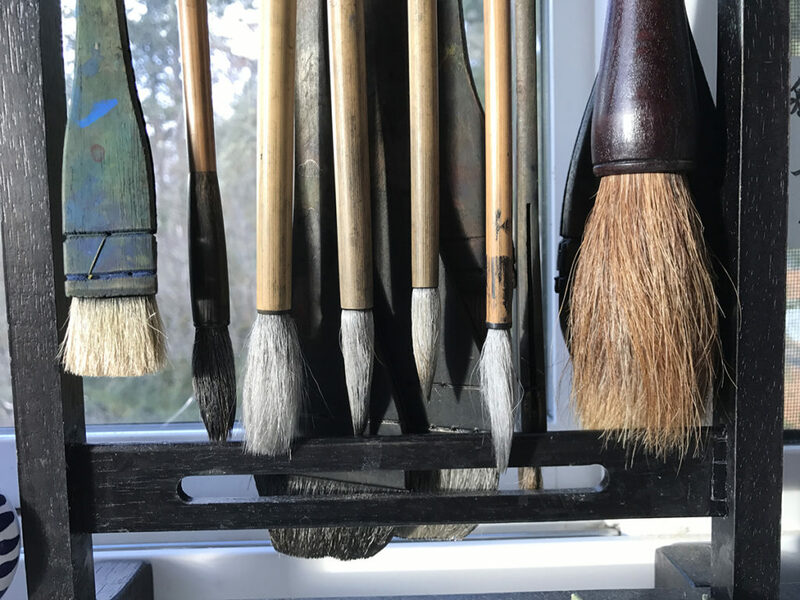 After returning from Sitka in May of last year, Satoko spent eight to nine hours per day working on the 15 watercolors that will be projected onto the stage during Eugene Ballet’s production of Peer Gynt at Silva Concert Hall. 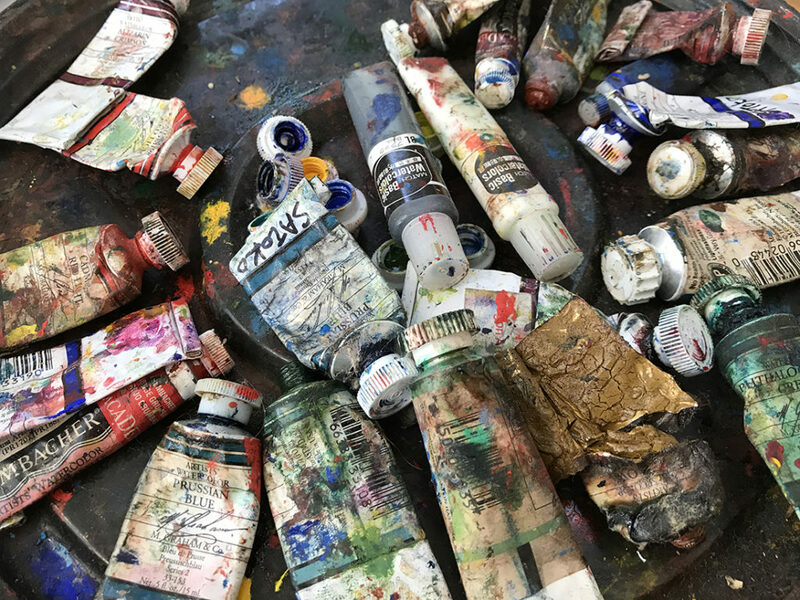 In just more than eight weeks, Satoko finished all of the paintings. This was her first experience working on a commission project, not just for a ballet, but also on a deadline. Nature is an important influencing factor for Satoko and her work, especially the colors and textures found in Italian landscapes. 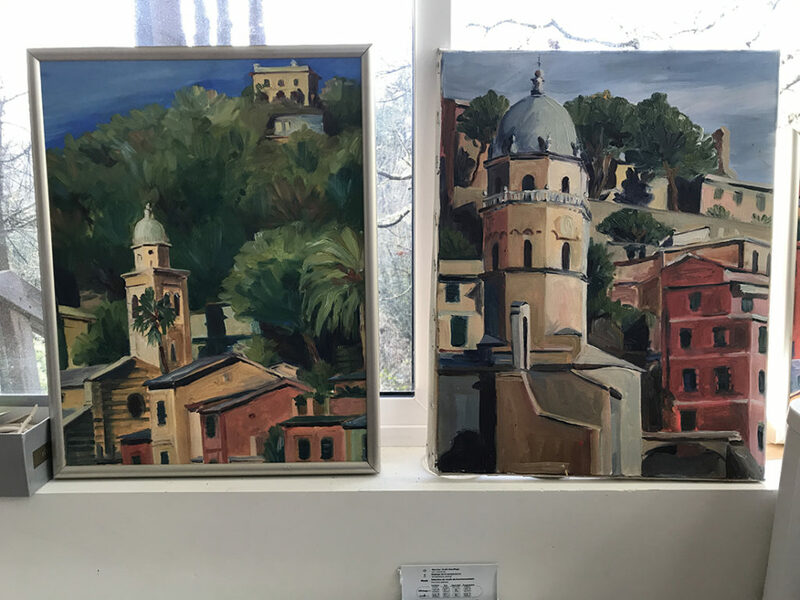 After her first opportunity to go to Italy in 1994, Satoko has found time to return every year to paint the scenery. There is no shortage of color in the pieces that Satoko created for Peer Gynt; one painting is filled with bright waves of colors, each complementary to the other, while another plays with dark and light and portrays the mighty Sphinx. The paintings that Satoko created for each scene will be displayed as enlarged stills in combination with digital manipulations and video projections to make the Peer Gynt scenery come alive. By combining the rich hues of the watercolor paintings with videos of different scenes in nature, this creates the effect of the audience being transported into the landscapes of the ballet. However, in spite of her creative contributions to this ballet, Satoko recognizes that Peer Gynt is not about her art. Satoko’s Peer Gynt paintings will be part of the First Friday Artwalk at White Lotus Gallery in Eugene on April 6, 2018. 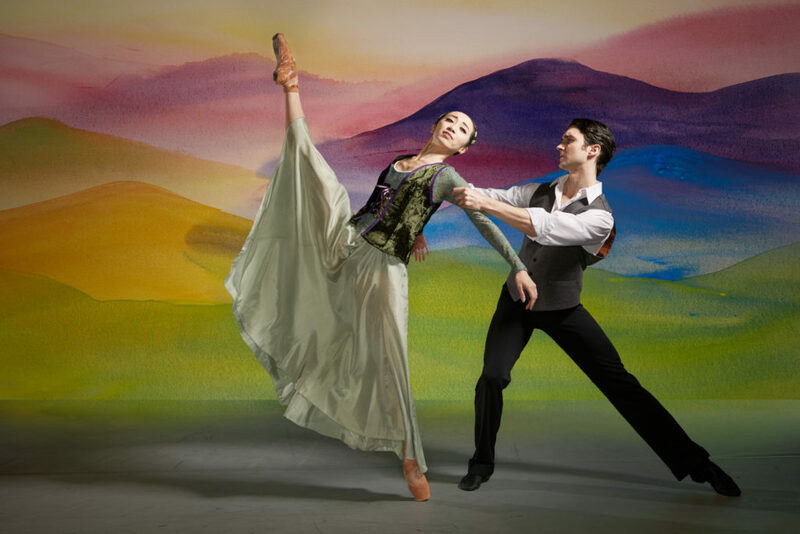 Eugene Ballet will have two Peer Gynt cast members in costume to promote the Performance. 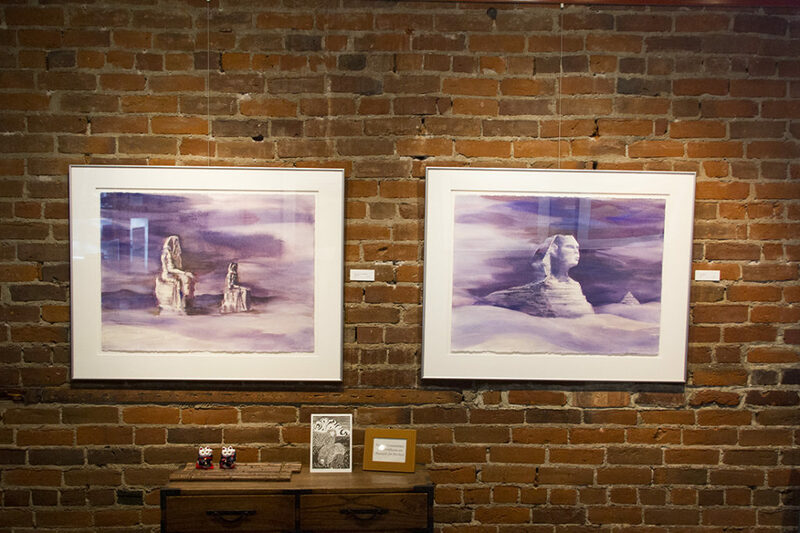 The paintings will be on view at White Lotus Gallery through May 12, 2018.
next post: 40th Season Announcement!